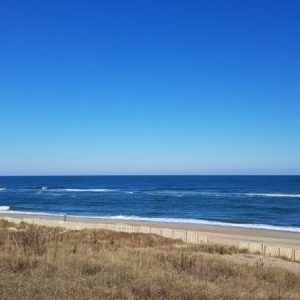 Here are our favorite things to see and do in the Outer Banks. 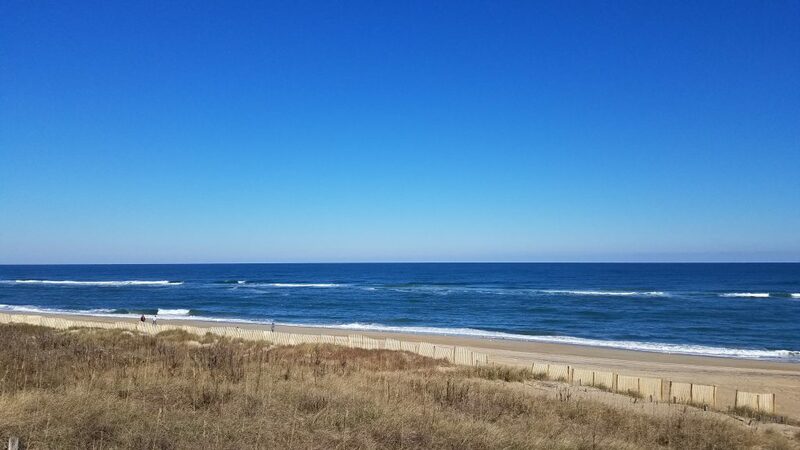 Whether you are looking to see the Spanish Mustangs up in the Northern beaches of Corolla or Carova to the solitude and quiet that the Southern beaches offer…the OBX has it all. 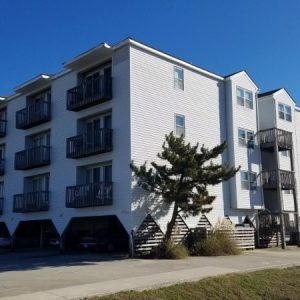 If you’re looking to be in the middle of it all, with close proximity to beach access and plenty to see and do, the beach in Kill Devil Hills will suit you just fine. 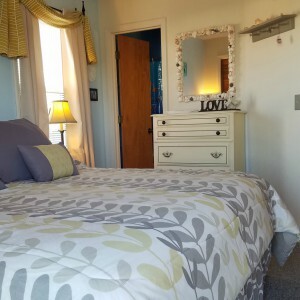 Stay at M Villa OBX and you’re right there! Jockey’s Ridge offers up a nice walk around its grounds and out to the dunes. The largest dune is 90ft tall and gives you a nice workout getting to the top. The kids like to bring a piece of cardboard or oval disc with them to slide down. You get real nice views from the top, including sunset views over the sound. The more adventurous may opt to take a hang gliding class. 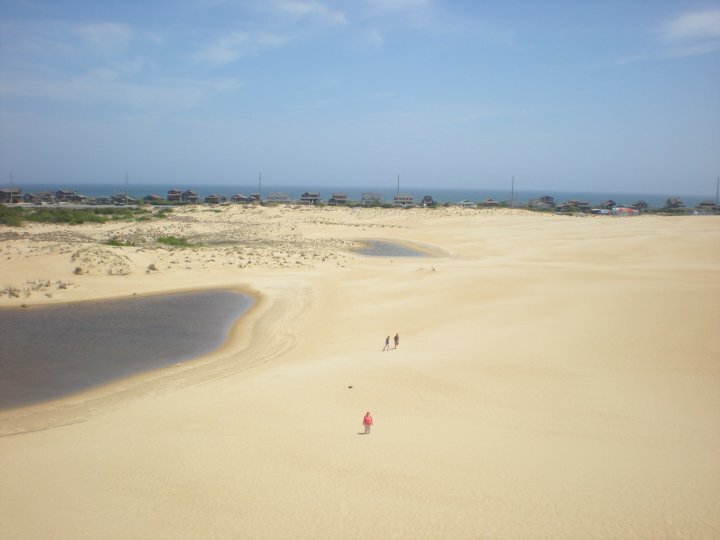 Looking out from the top of the dune at Jockey’s Ridge. We never get tired of going here. It’s so close to the condo that it makes for a nice walk. I get goosebumps just thinking about this being the birthplace for aviation. Think of all the places we can now go because of flight. This changed human lifestyle and experiences A LOT! United States Air Force F15 flyover at the memorial on the 114th anniversary. 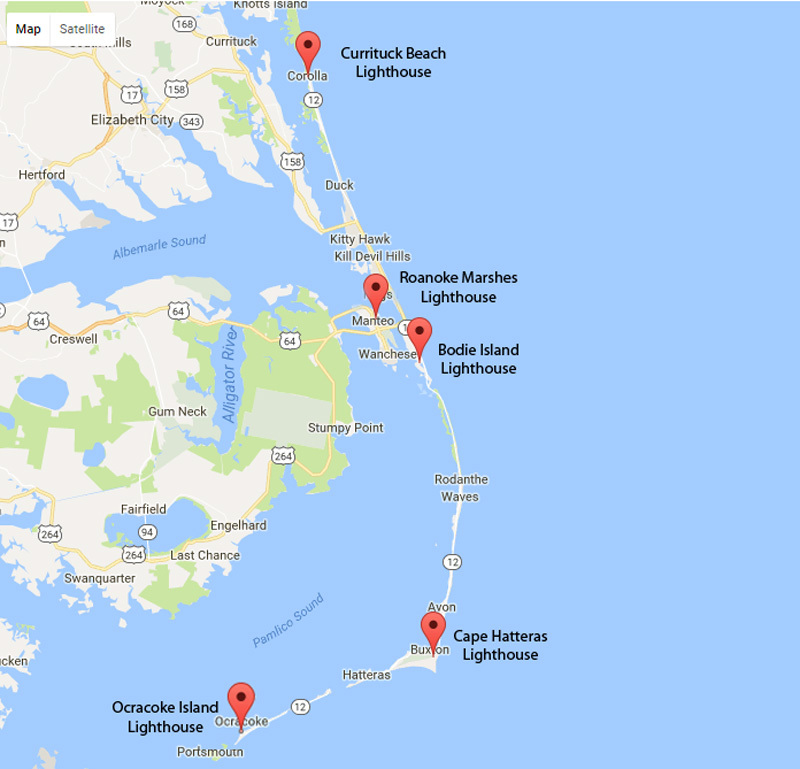 I know I singled out the Cape Hatteras Lighthouse in other areas of this site, but the truth is, all of the OBX lighthouses are special and offer something unique. While the Hatteras Lighthouse may be the most popular, I encourage everyone to visit them all. They are impressive and offer a good workout getting to the top! I don’t consider myself an avid fisherman, but I am definitely getting back into it with family and friends. I have tried my hand at crabbing on the soundside as well, but I’ve come up empty handed many a time. I’ve attempted fishing the soundside as well and haven’t really succeeded as of yet. I have seen others do well. 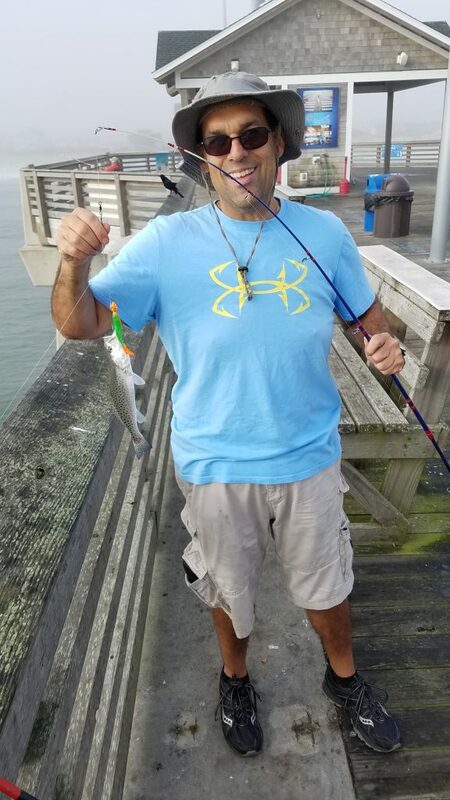 For the times I have fished from one of the ocean piers, we caught fish for many hours. 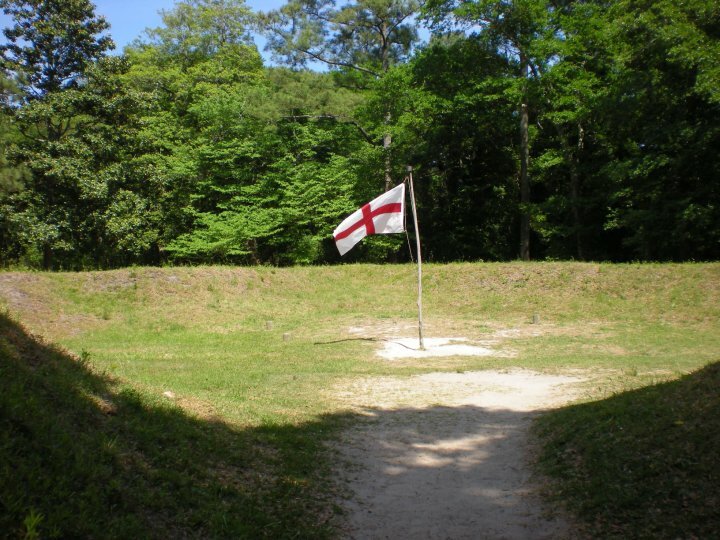 Much like the Wright Brothers Memorial, I love visiting Fort Raleigh and also seeing the story of the first English settlers to the new world come alive in the oldest outdoor drama. It is impressive that this age old story is conveyed every year in season…for the last 81 years! So many folks are a part of this production and do a great job. It’s worth the visit to take some time to visit the actual historic grounds before heading to the performance of that evening. I can’t express enough how much we have fallen in love with the local cuisine! We have been fortunate enough to meet some of the restaurateurs of area and they are indeed some great folks and families. When you stay with us, you’ll get a guide with all of the places we recommend and what we’ve actually tried at these places. It will absolutely help! 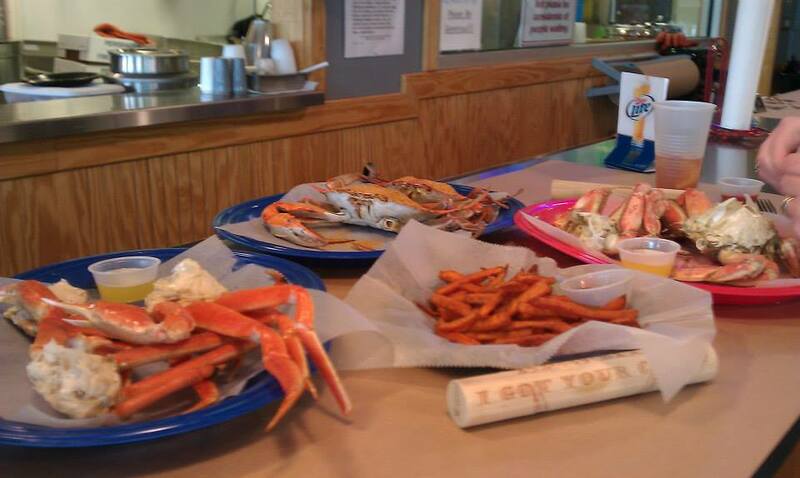 Fresh blue crabs, oysters, clams, shrimp, cobia, rockfish…you name it. There’s even a locals’ hang out with the best burgers around! We’ve all been to an aquarium, right? 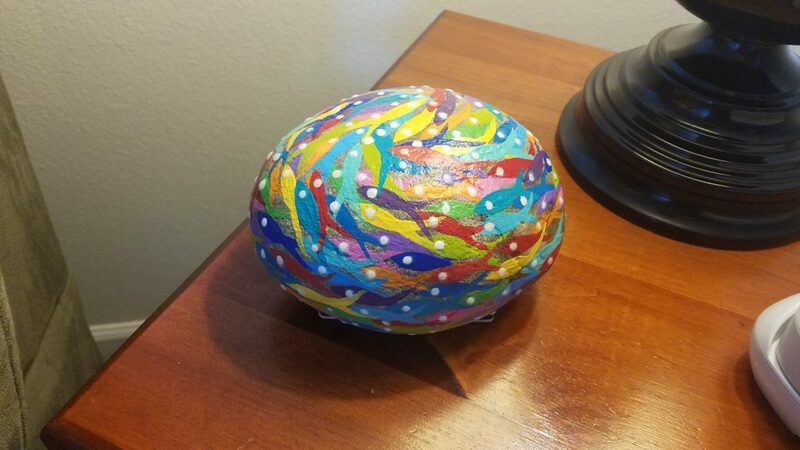 What makes this one so special? The Outer Banks is a barrier island. We’re surrounded by water and all of the fish and species that go along with that. Why not learn about the aquatic life in the area? This is a great way to spend a couple of hours or more and learn a few things. Especially if you have kids with you, they will love it! I’d be negligent not to include one of our favorite activities every time we go out to M Villa OBX…catching a sunset over the sound. I try to get out and enjoy a sunrise every chance I get, but there’s something special about a sunset. That fiery blaze that gives the sky colors that are just so natural. 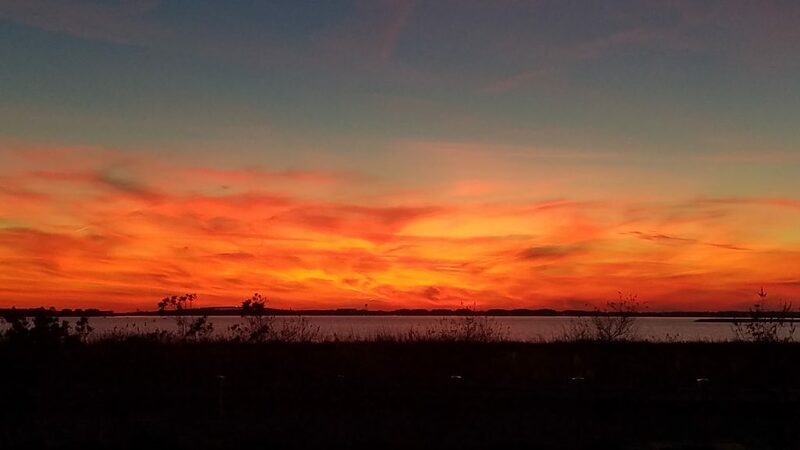 Whether it’s on the Duck boardwalk, atop the Jockey’s Ridge dune, or sitting at your favorite soundside restaurant, you can’t beat a great sunset! Right after the sun went down. There is something therapeutic about seeing the sky on fire just after the sun dips below the horizon. There is a nice sized Tanger Outlets shopping center in Nags Head, not too far away. 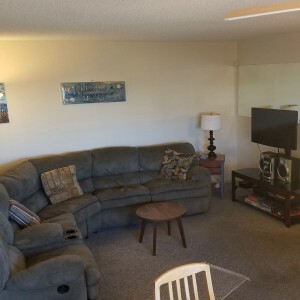 You can grab some pretty decent deals there all year long. Name brand shops and lower prices. More so than that, I truly enjoy shopping some of the locally owned beach shops. Most of these shops offer up the art work and other items of local artists. There is one such place near the condo named Beach House Dreams. We’ve actually got a few items at M Villa OBX that came from these stores.